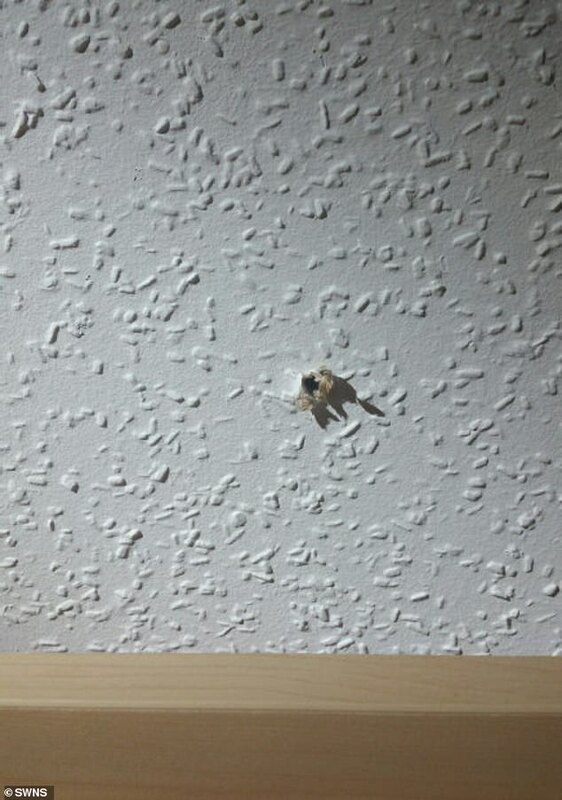 A scorned boyfriend who drilled a hole in his ex-girlfriend’s ceiling so he could spy on her from the loft has been spared jail. Mark Thomas went to his ex-girlfriend’s house in Fleetwood, Lancashire, to drill holes in her ceiling without her knowledge. 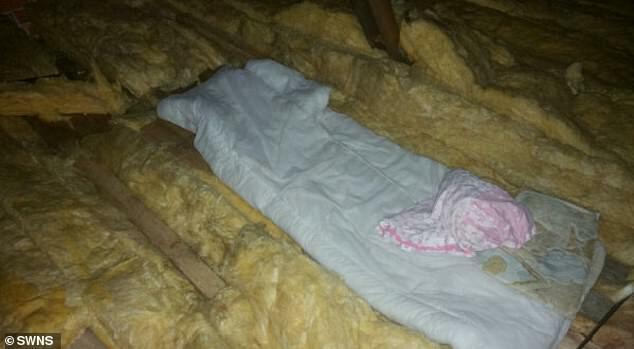 The 45-year-old engineer was eventually found by police hiding in the loft after the woman found a pile of dust on her bedroom floor and looked up to see a small spy hole in the ceiling. Thomas had twice been to the victim’s home without her knowledge to make his way into the loft to drill the hole, Preston Crown Court heard. Thomas had been dumped in September last year for cheating but refused to accept the seven-and-a-half year relationship was over. The court heard how on October 1, his ex-girlfriend had woken to find him sitting on her bed looking through texts on her phone. Mr Cummings added: ‘He was looking at her mobile phone and asking questions about who she had been texting. ‘She got up and took the phone off him and told him to go. At that point he left the bedroom and she fell asleep again. Later that day, the victim returned home from work to find a pile of dust on the floor in her bedroom. Mr Cummings added: ‘She then noticed a small hole in the ceiling. She came out to see if anyone was in the loft but noticed the loft hatch was closed and appeared to be locked. ‘She was still unhappy with the situation and called a friend, who told her to call the police. The police went into the loft and then, of course, found the defendant hidden in the loft. Thomas was released on bail but within weeks had breached a condition not to contact his victim and was remanded into custody. 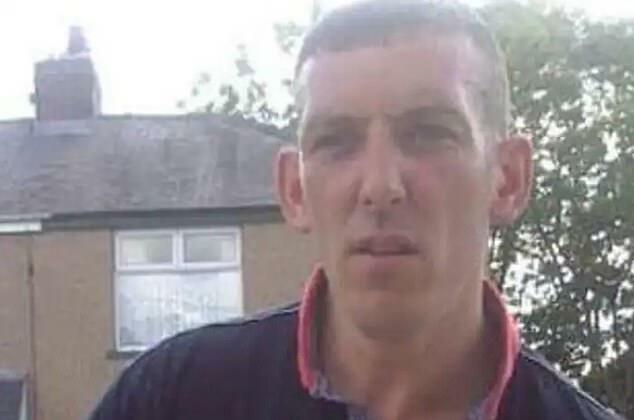 Sentencing him, Recorder Neville Biddle said: ‘Your relationship broke down, but you found it difficult to accept, and in fact, you acted in what I can only describe as a bizarre way. Thomas, from Blackpool in Lancashire, admitted stalking between October 1 and 28 last year. The judge agreed to suspend his six-month jail term for two years and imposed a 40-day rehabilitation activity. Thomas was given a six month jail term, suspended for two years, and also made subject to a five-year restraining order. Two charges relating to intimidating the woman will lie on the file.